A wonderful sweat rug with superior quality fleece. 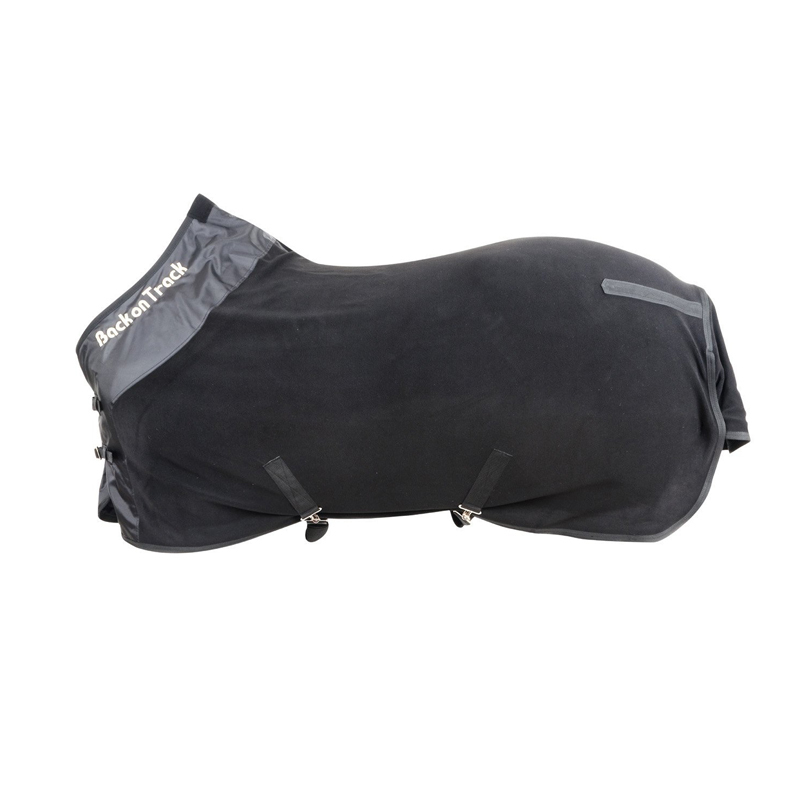 The Back on Track Fleece Supreme Cover is a high quality, heavy duty cover with a fleece outer, and lined with Back on Track's tradfe-mark Welltex ceramic fabric. It is ideal for use as a stable, travel, or pre-competition garment, and is an ideal "warm-down" or "cool-out" post-competition cover. It features two chest buckles, cross-belly surcingles, tail flap for extra spinal coverage, and a fillet string. Ideal for mild to cooler climates. There is a correlation between quality of movement and performance. Back flexibility is essential. When using as a pre-competition cover, ensure application at least two hours prior to competing. In this way your horses back will be loose and supple, and any stress or tension will be alleviated.